Historic Oak View County Park is a 19th century historic farmstead with a mission to interpret the agricultural heritage and rural history of North Carolina through educational programs, special events, and exhibits. This park offers more than 165 years of farm history combined with recreational opportunities. The recorded history of Oak View began in 1829 when Benton Southworth Donaldson Williams purchased a tract of land in eastern Wake County from Arthur Pool for $135. The property included 85 acres and several outbuildings. Williams continued to acquire land and holdings over the next 30 years, and completed construction of a two story Greek Revival I-Frame house in 1855. Though Williams was not considered a member of the planter class, he was a successful farmer. 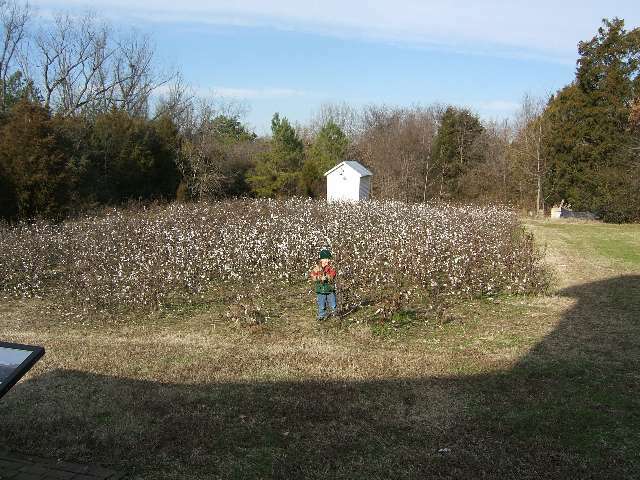 By 1860, the Williams family owned ten slaves and produced ten 400-pound bales of cotton per year. After the Civil War, most farms in the South greatly increased cotton production, and by the 1880"s, 93 percent of Wake County farms, including Oak View, produced cotton. Williams is also an important local historical figure, as he served as one of four delegates representing Wake County at the 1868 North Carolina Constitutional Convention following the Civil War. 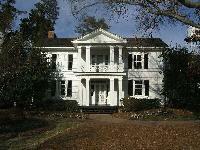 Oak View is the only surviving homestead of the four Wake County delegates. When Williams passed away in 1870, his will indicated that his land be divided among his four children and his wife, Burchett. Portions of the property were also sold to satisfy debts. Burchett passed away in 1886 and 178 acres of land, as well as the house and outbuildings, were auctioned off to Job P. Wyatt and Phil Taylor. Several years later, Taylor sold his interest in the property to Wyatt, whose family continued to operate the farm until 1940. Under Wyatt family ownership, Oak View was one of only a few manager operated farms in Wake County. Instead of using sharecroppers to farm their land, as was common during this time, the Wyatt"s hired a property manager to live in the main house and oversee the operations of the farm and the tenant farmers. Several tenant families lived in small houses on Oak View"s property and were paid a wage for their work. Unfortunately, none of these houses remain. The Wyatt"s also built several more outbuildings on the property, including the Cotton Gin House, Livestock Barn, and the Carriage House. The Pecan Grove, which was planted in 1911, was an effort to diversify the farm"s operations and is another lasting Wyatt family legacy. In 1940, the Wyatt"s sold Oak View to Gregory Poole. Although the Poole family lived at Oak View for only three years, they are largely responsible for the present appearance of the main house. Influenced by the trends of the day, the house was remodeled and expanded in the Colonial Revival style. Some of the changes to the home include the addition of an indoor kitchen, a sunroom, and a library. These additions briefly preceded more modern conveniences that the Poole"s installed, namely electricity and indoor plumbing, which had never been present at Oak View before. During this time, the Poole family also expanded the barn and upgraded the farm"s facilities. Shortly after all these renovations were complete, Gregory Poole sold the farm to William and Mary Bryan in 1944. The Bryan"s were the last to operate Oak View as a family farm. In addition to farming the property, the Bryan"s also dug the farm ponds that remain on the land. The Bryan"s sold Oak View eleven years later to Chauncey and Ella Mae Jones, who rented out the land once again to tenant farmers. In 1984, Wake County acquired Oak View"s 72 acres of farmland and designated the area as an office park. The 17 acres encompassing the remaining Pecan Grove and the complex of farm houses and outbuildings were slated for demolition. Upon hearing of the county"s plan to destroy the old farm, Wake County Historical Society President, Earl Droessler formed a citizens committee to help raise money to save the property. Members of the committee and of the Historical Society appealed directly to the Wake County Board of Commissioners to intervene on behalf of Oak View. Several County Commissioners became interested in the fate of Oak View adn saw the value in saving the property. To get the project off the ground, the Wake County Board of Commissioners appointed a group of interested citizens and county staff to the Oak View Restoration Steering Committee, which oversaw the campaign to restore the historic buildings and interpret the land as an historic site. Oak View was listed on the National Register of Historic Places in April 1991, giving even more momentum to the project. The Wake County Parks, Recreation and Open Space Division took over operation at Oak View in 1995, making it the first historic site in the Wake County park system. Under the management of the county, staff members were able to further expand, promote, and refine educational programming to reach a wide audience. The Farm History Center was completed in 1997 and serves as a visitor"s center and interpretive space where patrons can learn about North Carolina"s agricultural development from colonial times to the present. 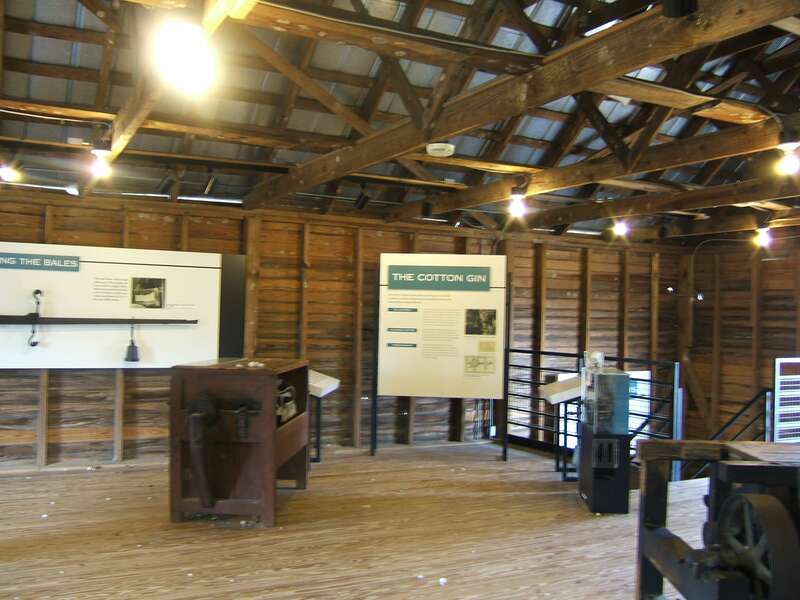 Today, over 100,000 visitors come to Oak View each year to learn about North Carolina"s agricultural past through programs, events, and exhibits. Hours of Operation: Historic Oak View County Park is open daily, except on Thanksgiving Day, Christmas Eve, Christmas Day and New Year's Day. Monday–Saturday: 8:30 a.m.–5 p.m. Sunday: 1–5 p.m.